Clarinetist Staff Sergeant Patrick Morgan is co-principal clarinetist of The President’s own United States Marine Band. He earned his bachelor’s degree from Indiana University’s Jacobs School of Music in 2007. Jun Qian is Assistant Professor of Clarinet at Baylor University. 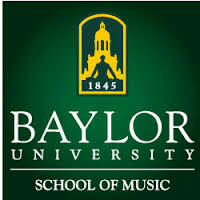 This Lyceum Series event, part of the Seventh-Annual Baylor Clarinet Festival is free of charge.